Overlooked by many but those who’ve ridden them know how good they can be. The Kawasaki ZZ-R600 is an unlikely nutter bike but, on speed alone, it’s up there in the upper echelons of the “bikes that can get you nicked in second gear” category. 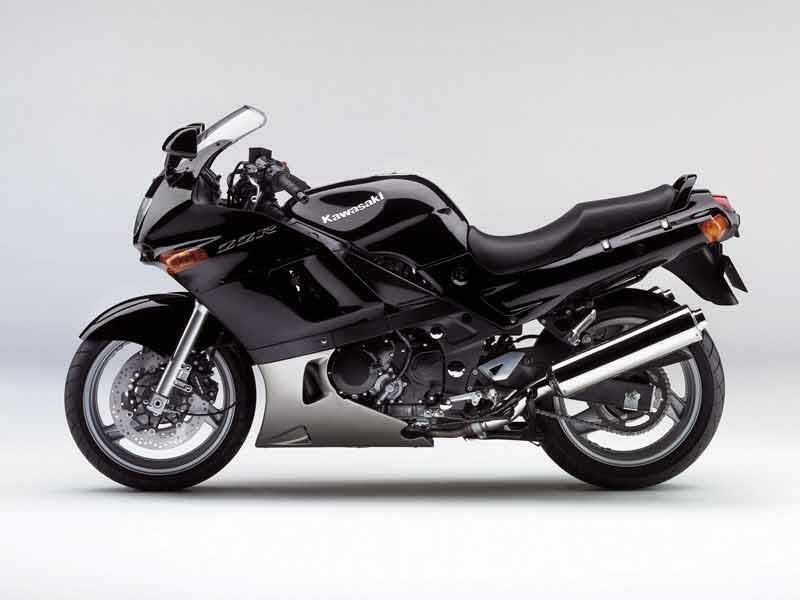 Roomy and comfortable, the Kawasaki ZZ-R600 is practical, too, and you can pick them up for a song. The Kawasaki ZZ-R600 seat’s soft and plush but so, alas, is the suspension. Great brakes but the forks dive easily and the rear shock’s not brilliant either. It’s not dreadful but you notice it if you’re pushing hard. Otherwise, the Kawasaki ZZ-R600 is smooth and stable, even at high speeds. The gears can get clunky if you don’t tighten the chain very regularly. A surprise, to say the least. The Kawasaki ZZ-R600 looks so docile by today’s standards yet twist the throttle and a ridiculous surge of power carries you up to the 14,000rpm redline in no time. The Kawasaki ZZ-R600 engine is reliable, grunty enough low down and positively mental at anything above about 4000rpm. Bloody hilarious! Cush drive wear, corrosion of downpipes and sagginess of old suspension are the most common complaints from Kawasaki ZZ-R600 owners but, overall, the bike’s a tough one. The engine’s excellent and it’s common to see Kawasaki ZZ-R600s knock up some vast mileages. Generally, build quality is good but many Kawasaki ZZ-R600s get ridden throughout winter so older models can look a bit scruffy. Suffering from a slight image problem (riders overlook them in favour of more track-orientated machinery), you can pick up both new and used Kawasaki ZZ-R600s for some excellent prices, if you shop around (and haggle: list price is slightly steep). Insurance on a Kawasaki ZZ-R600 isn’t bad and the fuel consumption’s a plus: take it (relatively) easy and you’ll see over 200 miles out of a tank. Find a Kawasaki ZZ-R600 for sale. The Kawasaki ZZ-R600's vast fairing houses a good dash with analogue revs and speedo, digital clock, plus temperature and fuel gauges. There’s a little, lockable glove box too. The Kawasaki ZZ-R600's screen works well and useful bungee hooks make for easy touring. There’s a centrestand but be careful: it grounds out easily, especially two up. 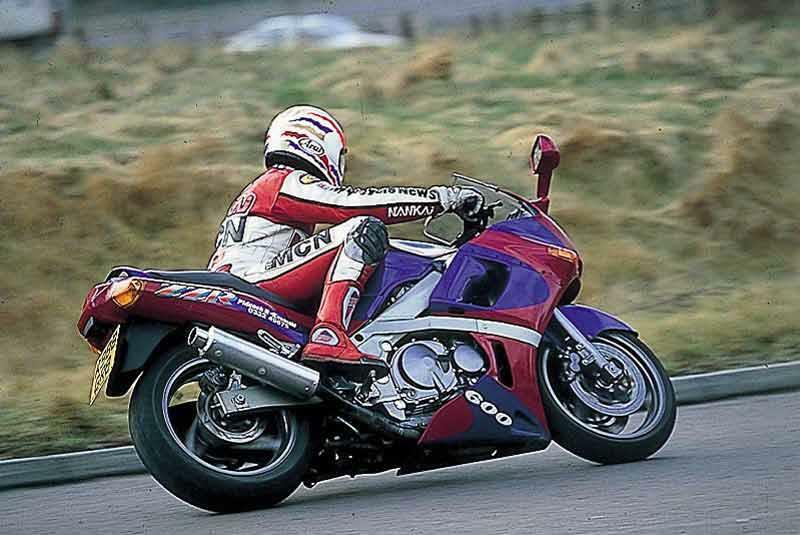 1990: Kawasaki ZZ-R600 first launched and marketed in the “supersports” category (which was very apt at the time). 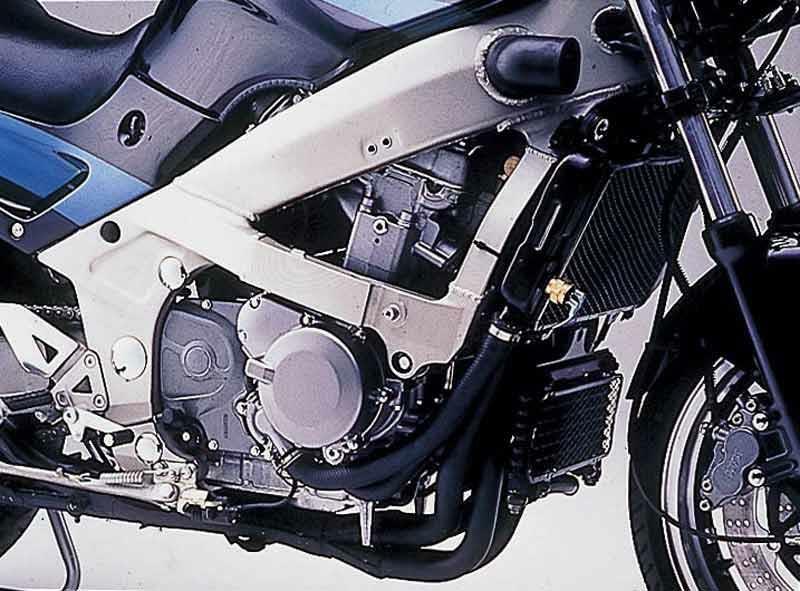 1993: Kawasaki ZZ-R600 got a major overhaul. New chassis and fairing, some engine modifications, a redesigned dash and new silencers. 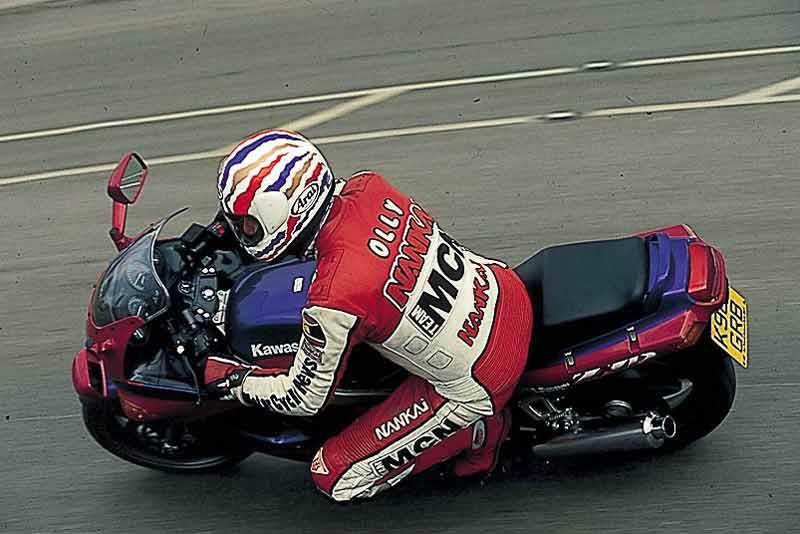 1995: Kawasaki ZZ-R600's suspension was uprated with rebound and preload adjustment. 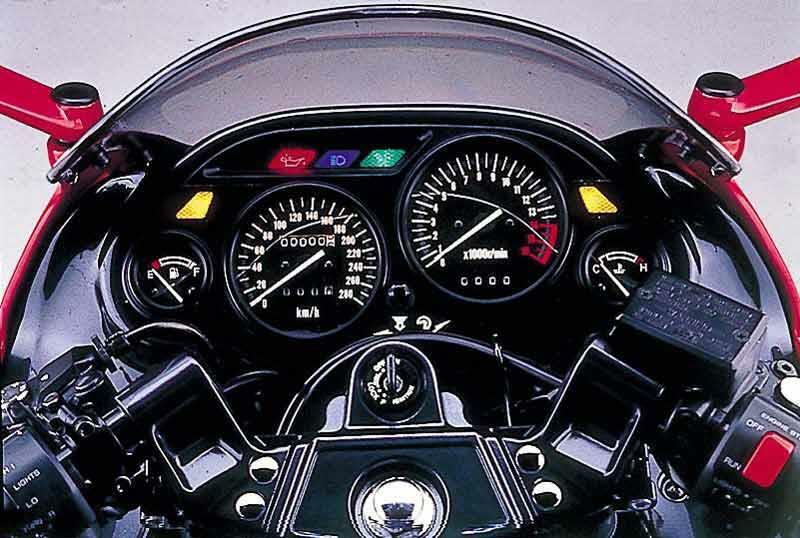 1996: Kawasaki ZZ-R600 got a digital clock. 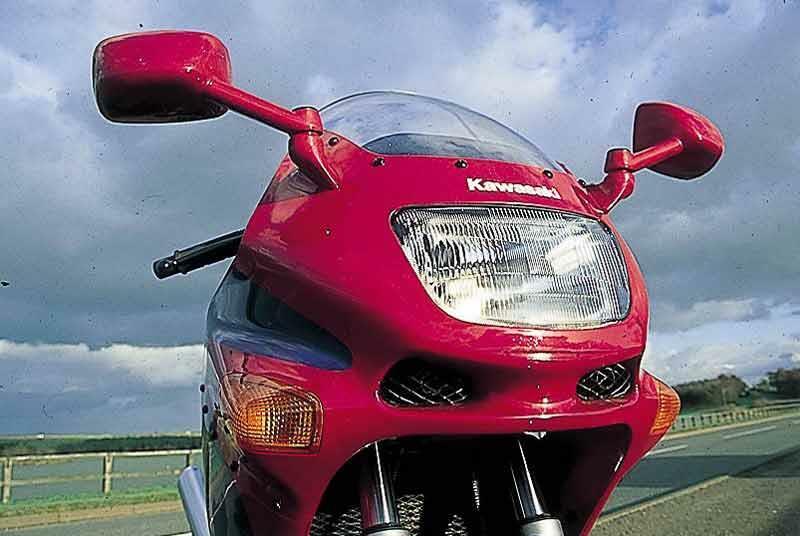 1998: An alarm and immobiliser were fitted to the Kawasaki ZZ-R600 as standard. No changes since. 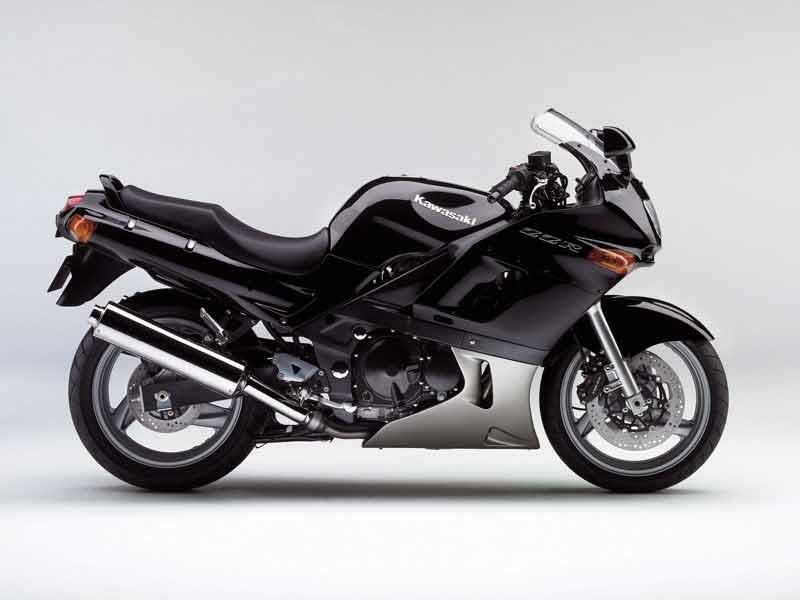 41 owners have reviewed their KAWASAKI ZZR600 (1990-2007) and rated it in a number of areas. Read what they have to say and what they like and dislike about the bike below. Bought this as a very cheap winter hack, which had been seriously neglected, whilst my Blade sat comfortably in the garage. But circumstances forced me to sell the blade and I found myself focussing on improving and sprucing up the ZZR. I replaced all the bearings, put an aftermarket (cheapest, YSS) shock on, raised it by 35mm (bike farm jack up bones) put some progressive fork springs in (Wirth), did the Nissin (FireBlade) front caliper upgrade, changed the front pegs for adjustable ones that can be raised and rear set slightly, shimmed the carbs (as there was a huge flat spot off idle because of the aftermarket downpipes) and just generally gave it a whole heap of much needed TLC. Needless to say it’s like a new (old) bike now. I honestly wasn’t going to keep it and I thought it was beyond help, but low and behold underneath the last 27 years of neglect there was a solid machine that just needed help. Due to my handling upgrades, it is (I believe) better than when it was new, turns in fine, doesn’t ground out easily as it’s got considerably more ground clearance, and stops amazingly. All that without compromising very much at all on comfort. Engines on these are fine even now for power unless your a bit daft and want to go to jail. I love it perfectly adequate for fast road riding and I might even consider doing a track day or two on it. Commuting and long distance it is comfortable too. I found the original Tokiko front calipers problematic, but this was probably due to lack of maintenance. I decided to upgrade to 98-2002 FireBlade callipers and put braided lines on too which combined with the already great rear brake has made the brakes tremendous. Ride quality as standard is far too soft for me but it’s pretty stable. Nothing needed doing to the engine totally brilliant. Power delivery is quite linear and manageable, it's plenty fast enough for the road. I’d say tremendous. This bike should’ve been ready for the scrap yard in the near future due to neglect but underneath was still strong. Value is great considering how much you can pick one up for, can drink fuel if pushed though, insurance cheap. If you spend a few hundred quid on some suspension, brakes etc you’d struggle to find a better bike for the same total cost, Parts are generally very cheap. Pretty good but my D model doesn’t have a fuel gauge or clock. I put one of those phone charger/holders on the handlebars. Tyres-wise I opted for Bridgestone Battleaxe BT016 which have been around a while but are sticky enough for having fun and last as well. I paid £125 for a pair off eBay. Privately, £400 for a relatively low mileage (28k) very neglected model. Unless you want to be tinkering with everything I’d advise spending at least double that then a few hundred on brakes & suspension £12-1300 gets you a ton of bike. Holding up very well considering all the types of weather thrown at it when on tour! Quality is excellent! Just the usual tweets etc. Passed test in Nov '13 a week before my 69th birthday. Thank the Lord I went for a 250cc twin to start with and not the ZZR600, or I would surely not be here now to do this review ! As a new biker I am not qualified to comment too much, except to say that it knocks spots off the Suzuki GSX600F which was the same age. Very lively at higher revs, but I also find it ok for commuting without screaming!! Bought early September (5 weeks ago) with only 6500 miles on clock and in immaculate condition, runs like a dream. Cockpit layout is good, with clock, temp gauge and fuel gauge. Lockable small storage box on left fairing, which may come in handy some day! Bungee clips on pillion sides. Bought privately for good price considering age, condition and low mileage!!! The only bad feature is the lack of a gas gauge. All the rest is positive. This bike handles better than my former bike, a Yamaha R6. First gear is perfect for the street, Midrange power is outstanding, Not to mention that beautiful sound it makes. This is my first Kawi I have owned and wont be the last. I've owned Honda and Yamaha with a short experience with Suzuki. The Kawi rules all. Did I mention the super comfortable seat? I will likely investigate a ZX10R in my future. Comfort plus and yet still a great track bike. Brakes are amazing! Excellent on fuel consumption, even when you are hard on the throttle. Bought this bike for 2 reasons: first & foremost found a £650 bargain one of late production years, second it was supposed to be a good beginner bike. Clearly a beginner mile-eater, excellent engine with tons of character, sporty but very comfy on highway. For beginning the riding position is too sporty and it's also too heavy. Lower on Ride quality for me as a beginner, and I might have made the mistake to keep the Battleax front tire too long (3 years when I bought the bike). Not a reliable tire in the wet when not new! The front limit is a little difficult to feel, but that's probably for a good part due to my lack of experience. Brakes are good, rather racer-sharpish. Addictive top-end rush of the engine is nice to experience on every straight bit, as said excellent on the highway & probably very good in experienced hands. The big + of this bike. Great character, great pull above 6.000, great sound, good fuel consumption. For me 4+, I would dare to compare it to BMW on fit & finish of chassis & bodywork. The Bavarians still have to design & build a 600cc with 100 HP that lasts as long. The previous owner did nothing except little bit of oil change, drove in all weather including winter & salt, yet the machine was far from wrecked once cleaned, serviced & polished. Servicing is normal, resale value is low, but fuel consumption is good & there are plenty of spares at good price, so give it my thumbs up. Clock, precise fuel gauge, very good mirrors. Excellent seat, just the sitting position which is sporty compact & leaned forward, so not so great at lower speeds. Good wind & weather protection. Bought privately from 3d owner @ 33 000 km, sold @ 35 000 to buy a real beginner's bike, Honda Hornet. Fantastic all-rounder. Is everything you need, is great fun to ride and would definitely recommend it to a friend. Would have kept it longer than the 7 years I had it if it wasn't involved in a prang and became a CAT D write-off. The seat is very comfortable. Faring with double bubble after-market screen provided excellent wind protection. I installed handlebar risers for a slightly more upright seating position for touring. Updated rear shock to Hagon which improved the handling, although to be fair the cornering was never fantastic! Front brakes were okay but never felt great. Installed Nissan calipers and braided hoses to the front which helped. Bulletproof motor never missed a beat. Fantastic acceleration after £7k rpm and huge grin inspiring howl from the ram air intakes, and yet a doddle to handle on the daily commute. Can sit at motorway speeds all day. Had the bike for 7 years and the only breakdown I had was a flat battery when the stator packed up. I also replaced the exhaust with a stainless steel one shortly after purchasing the bike due to corrosion. Had to replace the front discs which had warped at 19k but to be fair that may be more due to poor care and maintenance through a bad winter. The bike generally needed plenty of TLC through the winter and I replaced most nuts and screws with stainless steel ones. Bike is simple enough for a novice to do basic maintenance and servicing. I spent quite a bit on the bike but these costs were generally on improvements rather than maintenance - only because it was such a pleasure to ride! Being 6' 6” tall my choice of fully-faired sub-750cc bikes is limited but a few work such as the RF600 (to some extent), the VFR750 and now my ZZR. It is a very comfortable bike to ride and my knees don't bash the fairing. It also makes a surprisingly composed city bike. The party starts at 8000rpm when the engine goes into a sort of a mental mode powering you to silly speeds (I was doing 69mph officer, honest). The delivery is quite linear but incredibly powerful and stable. This thing was built to go fast and it does it well. Yes, yes modern 600s will whoop it's arse but who needs more than 100 horses on British roads really? To those people who claim a 200 mile tank range – how? Mine barely does 130 to a tank. Having said that mine s a bit lumpy below 4000rpm which indicates it needs a bit of tweaking but even so I can't see how a 200 mile tank range is achievable on this bike without riding it like my Grandad (RIP) used to drive his Austin Maestro. To summarise, I love it. The brakes perform well and it is very comfy. I've given it a 4 only because there is always room for improvement. The power delivery is very satisfying. The gearbox is a bit of a clunker though. Compare it to a Honda and you'll notice the difference in build quality but in isolation it is a very solid and well put together machine. I replaced the exhaust myself recently and did come across some seized screws on the fairing mounts so take care with it. No reliability issues as yet. It is a conventional machine so I expect typical service costs for a sports 600. Clock, bungee hooks and good storage. The fuel gauge is nice but useless. It's either full to the brim or empty and not a lot goes on in between. Best to reset the trip meter when you fill up. I bought mine from a dealer and no problems to report other than a speedo drive fault which was fixed under warranty. 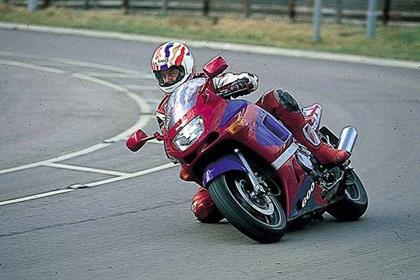 ZZR 600 1991, still a great sport tourer! Best bike for the best price. Comfortable, practical, and with good performances, on par with current basic 600 cc bikes like CBF and XJ6. You can pick them for €1000 and you get a great 4-cylinder commuter with sporty ambitions, albeit outdated, to travel or have some fun. Like VFR, but MUCH cheaper. Extremely stable at high speed. Not a lightweight but not too heavy, despite the age (low gravity centre). Pleasant on tight corners too, but you have to be smooth - soft fork is a problem when braking. Suspensions are extremely soft- don't ride in grand-prix style or the bike stability will suffer. Brakes are good but they have the tendency to have stuck pistons in the winter. Upgrades on fork, shock and brakes will improve the "aggressive" ride for sure. Still surprisingly powerful for a 1990 engine. Starts promptly and runs smooth after few seconds. Extremely smooth and sweet from 1500 to 8000, but also very weak. You have sometime to downshift twice. From 8000 it suddenly kicks in and starts to be very powerful and fast. Gearshift is bad, the worst part of the bike. 1st and 2nd are clunky, they need to be treated well (don't rev too much during change, always properly lubed chain), or you will end in a faulty gearbox. Treat it well and it will last forever. Other gears are hard to operate with city traffic, decent on open roads but you need some throttle skills to make them smoother. Build quality is surprising. Paint is still perfect and shining, fairing plastic is still flexible. Some screws and bolts are a bit rough and have a white oxydized patina, but no rust. The grey paint on rims and frame looks more fragile though. Dashboard plastic (glove box lid etc) turns to grey with the age, i have repainted them in matte black. But hey, it's 24 years old. In some cases the bike is finished better than some new bikes! Being a 24-years old bike, it requests some operations now and then. The only major problem was the alternator (€100). Everything else is normal maintenance (oil, carbs, spark plugs, some electrical details etc). Don't mistreat the gearbox between 1st and 2nd gear. Comfortable windscreen and fairings, glove box, and retractable hooks on the sides, center stand. Still practical and comfortable today for long travels. It lacks a fuel indicator (just two flashing lights) and seat key lock, mounted since 1993. The seat on my version is fixed with two bolts. Not a big problem - bring an Allen key with you (keep it in the glove box) and the seat is off in 30 seconds. Purchased new in 2004 and runs like new @ 40K miles. This is a fast bike that doesn't compromise on comfort. It won't wear you out on long rides. It has great wind protection and it is stable at high speeds or on wet roads. I love the cockpit layout. The center stand comes in handy for regular maintenance. Bulletproof engine, smooth gearbox, and commuter friendly. I've owned and ridden many motorcycles and the 2004 Kawasaki ZZR600 has to be one of my all time favorites. . . It could use a better back brake. It isn't horrible but I've seen better. For a 600cc engine the ZZR has loads of power. It is quick off the line and very responsive at high speeds. Many guys I ride with comment on how quick it is and I usually get much better fuel economy than them averaging 50 - 55 MPG. Never an issue or problem with anything. Only money spent has been for regular maintenance, gas, oil changes, and tires. Love the analogue gauges and I use the retractable luggage clips all the time. The centre stand is also handy for chain adjustments and regular maintenance. I bought the bike new in 2004 and the price out the door was a bit over $7500. I brought the zzr in 2000, from a dealer for £3700 and I have never regretted buying it and it still working perfectly 15 years later. Bought my ZZR in June this year, a E7 model with 15137 miles on the clock now has 26594. Really really like this bike. A great engine that goes like the proverbial at 8K revs. All day comfort, 842 miles was the longest I rode in one day, only reason I stopped was we were at our destination. Wife finds the pillion seat very comfortable. The brakes have been upgraded with braided lines and Carbon Lorraine pads, may upgrade to Nissin callipers next year, a double bubble screen, rear hugger, fender extenda Tutoro automatic oiler, 12V power socket and stainless down pipes are the only other mods. The rear shock is now goosed, Hagon replacement rear shock on order £300 other than that everything good. Things I like All day comfort Mental engine Centre stand Weather protection The looks Twin silencers, give it a nice symmetrical look Bungee hooks everywhere A decent pillion seat Comprehensive dash Fuel economy, 200 miles to a tank Cruises at 80+ 2 up all day long Overall handling Cost to buy Insurance costs, mind you I'm over 40 Things I don't like The front end is a tad soft when pushed The rear shock isn't the best The brakes need to be carefully maintained and upgraded Very dependent on good chain tensioning for smooth gear changes The servicing schedule could be a bit more in keeping with the sports tourer niche it has occupied since the ZX6R was launched, would gladly sacrifice some top end power for this. To sum up a fast and thus far very reliable sport tourer that has all day comfort with very economical running costs. As good 2 up as it is solo, with a completely bonkers engine, when you want it to be. Love the bike so much I am going to strip her down and completely restore her over the winter, never done this with a disposable Japanese bike before. Great bike, restricted will easily cruise at 80, max around 110, easily enough for a new rider, main difference is how quickly you get there. Unrestricted performs as well as any modern 600, the competition is more about your skill as a rider. Handles and grips the road well, had no trouble here. Can pick one up for a great price. Starts every time, no trouble in coldest days in winter, just needs a bit of choke and check the tires aren't too cold and slippery. Bike is very fun when you get up into the power band, around 7k - 13k rpm, which i find the bike needs now and again to keep her running smooth, and it sounds and feels great too. Dash clock is a neat feature, as well as the disc lock compartment. Great for commuting as very comfortable, can also imagine being great for a long trip or tour. But don't let this fool you into thinking it's a standard touring bike, the class sports-tourer fits it perfectly. Good first bike, although I would always suggest starting on something less mental in the power band first. I have had my zzr600 95 model now for about three months and i like it a lot it. I have driven it about 4000km so far. No mechanical problems so far, I have just lubed the chain and brake/clutch leavers and filled the tank. What i like: I find the ergonomics of the bike really good. The knee angle is good. And all levers and buttons are well placed. Its low and not too wide so it is easy to place both feet on the ground (I am 182cm tall, think i could still do easily it if i were 160cm) The suspension is soft enough to be comfy on normal road with potholes and the like, but not so soft it becomes an issue when driving fast. The engine is totally smooth in its power delivery and above 7-8000rpm it goes mental. Its cheap, both to buy, insure and run. It does not use much fuel. I get about 5l/100km. What i do not like: The front brakes. Its a kind of spongy feel to the brake lever, even though the bakes are in top condition and are properly bleed. They do work just fine, and will stop the bike with my brain wanting to escape trough my eye sockets. But to do this re lever require a bit to much force for my liking, and the lack that crisp feeling. All in all I really love my ZZR and I plan to keep her for a while. ive owned my zzr now for 2 months and i have to say a great bike. i had a gsxr 400 before this and i have to say i enjoy the kwak more. bin round scotland on it, kept up with the supersports no problem on it and it never missed a beat. would make a great first bike. ive just got a 1990 zzr 600 with a 33bhp restricter and ive got to say as my first big bike i can fault it even restricted the engine has enough poke to easily get you grinning from ear to ear, the breaks all tho they may be found lacking by more expereinced riders are plenty for a novice. its a bit on the heavy side but because its so low down this isnt realy an issue most people will be able to get there feet flat on the floor and one its moving you wont realy notice. well worth a look can pick them up in ok condition for around a grand. As some idiot trashed my beloved FZ6 Fazer I needed a new bike. I got an '06 ZZR600 E6F. Wow! Just Wow! Handles like a dream, has superb balance and the engine is magnificent. On 100 mile motorway trip it was *cruising* at speeds the Fazer was racing at. Round the lanes it stuck to the road like glue. The low end is smooth enough to commute, the top end grunty enough to fly and the mid-range is just everything in between ;). I was looking at one of these or a Thundercat and I am so glad I went with my instinct and got this. Apart from my mate's ZZR1100 this tops every bike I've ridden and as I'm doing a lot of shorter range riding on this it suits me much more than the 1100. Amazing bike, love it. This is my second bike, and ever since knowing about these, I coveted one. So pleased with my 2002 ZZR600!! It really does have a mental engine, although I find you have to rev it past 5-6k for it's manic side to come out. It is comfortable and at 6ft2in I was surprised that I don't feel at all cramped on the comfortable seat. Faring gives good protection from the elements. The bike is also well equipped with a fuel gauge, center stand, little glove compartment as well as alright underseat storage. There are also things that show that Kawasaki have the rider in mind, such as the little windows in the bike that let you check rear brake fluid and coolant without having to take the seat off or remove the fuel tank, making maintenance easier. The double exhaust gives you good road presence too ensuring that dozy drivers will at least 'feel' you if they don't bother to try to see you. Great engine noise too!! It has plenty of poke too, although it doesn't feel like it as it is very very smooth to ride, so you don't often realise how quick it is. No problem though cos the handling is confidence inspiring. Feels like a CBR600F!! Great bike!! Get one!! Where do i start? 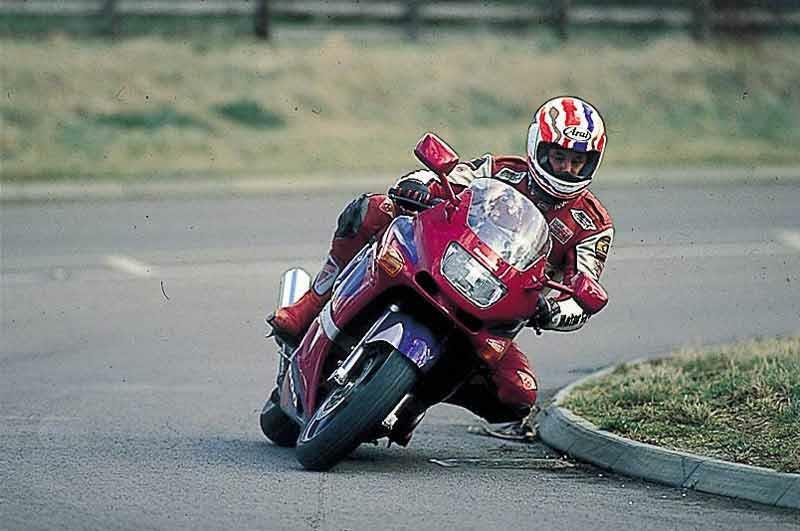 passed DAS a few months ago, bought a 1993 zzr600, cant compare it to any other 600cc bikes due to being 1st big bike but for the money you get alot of bike, done a 500 mile tour to skye and what a great bike it was, handling and power was fantastic, after 500 miles i wasnt to sore with the ride position, i would defo buy another one.. I bought my 04 ZZR 600 2 years ago. Having been away from biking for 10 years I wanted nothing bigger than a 600 (lack of confidence), but wow what a great bike. The first time a took it for a run on the motorway I expected an average preformance but to my surprise it preformed like a it was bulit for the race track. Smooth and powerful overtaking with ease and instilling a huge amount of confidence. I've had no mechanical issues despite riding it through 2 winters. Some say its a good first bike but I think even an experienced biker wouldn't get bored of this little gem. Went from an FT500 thumper to a 1990 ZZR600 within a few months of getting my big bike licence. What a difference. I have owned the ZZR for over a year now and it has been so reliable, even through the winter. Strengths: Engine, power, comfort, reliability, very forgiving, easy to work on yourself. Weaknesses: Soft suspension, mushy brakes (braided hoses help alot) I would recommend a ZZR to anyone as it will do anything, commuting, touring, a bit of scratching or a blast, it has the grin factor and the engine is bullet proof. 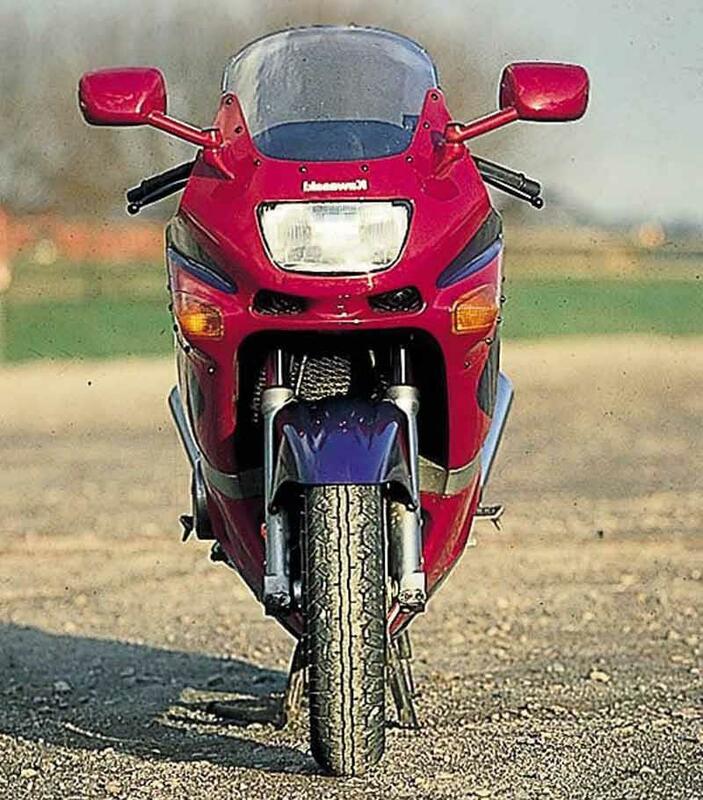 I bought a 93[K]one 5 years ago when I got back into biking, just like the one in the pictures above. I've bought, sold & ridden loads of other bikes since but I've always kept the little ZZR. It's the best all round bike I've ever owned. It's good for touring & a Sunday spin and you can throw it around quite a bit within the handling's limits. It's really pretty quick, even today. It's comfy, although the low seat cramps your legs a bit if you're tall. SP1 / CBR600RR front calipers fit easily and work well, especially with braided hoses. They make the front end dive worse though, unless you fit progressive springs too. Hagon rear shocks work well and stop the bounce. A double bubble screen stops quite a bit of the turbulence. I haven't had any real problems although old ones can apparently jump out of second gear. Don't cost much to run and pretty reliable. Mines on 40k with no real problems. Even though they're quite an old model, they're so nice I'm actually thinking of buying newer one. This bike suits ME perfectly.Ive ridden so many bikes over the years(ex bike salesman), and for where im at now,i cant fault the bike at all.My partner really likes this bike the best as a pillion passenger.I know there are newer bikes that have improved things a bit, but for me its brilliant.And for what i paid for it,you would have to steal one to get it cheaper!Mine is a minter,it was a case of right place, right time etc..A gift from Heaven! I bought my ZZR600 E2 after passing my test in 2002, have had several other bikes since, but I've hung on to it all this time. The reason is, it's worth naff all to sell, and frankly it's still a lovely bike to ride, and does everything I ask of it. Scratching, commuting, touring, bumbling around town - it does it all. The engine is a belter. Tractable and docile, and with beautifully set up carb'd fuelling, it will pull cleanly from car revs in any gear, but as it approaches 7000 RPM you feel it perk up, by 8000 RPM it's gone into full blown mental mode, and screams its way to 14,000 RPM (and beyond if you let it) in one addictive long surge. Sounds really angry as it does so as well - like it's about to burst out of the frame. The airbox howls away like on all Kwaks, and it still makes me grin even after all this time. Returns 50 mpg on a gentle commute too. Needs its plugs regularly gapping and cleaning, and the camchain tensioner greasing and resetting annually, but other than that, totally untemperamental, oil tight, and never skips a beat. When I got it, I quickly became annoyed at the centre stand decking, particularly two up. Although convenient for maintenance, I took the centre stand off, upgrading the hopeless rear shock to a Hagon at the same time. What a difference not only in terms of handling and ground clearance, but ride too. Changing the fork oil for a heavier weight helps the dive too. The biggest disappointment really is the quality of the parts used on the bike. The cheap mild steel collector box rots and disintegrates, brake caliper pistons seize, discs warp, and fasteners corrode if you even mention the word salt. When the original exhaust fell to bits, I fitted a 4-1 Micron system with a Quill T3 can, which sounds great, but took a stage 1 Dynojet kit and four hours of dyno time to set up. The fuelling on these bikes is very picky, and I would recommend talking to a tuner before you buy replacement pipes - I would have saved myself hundreds. On the plus side, the dyno session found 3 bhp, with a healthy 102 bhp on a then 18,000 mile engine. It's a comfy bike with a sporty but not extreme riding position, excellent mirrors, and a decent pillion seat. The low seat height makes it easy for shorter riders, but at 6ft 2, I'm not cramped either. You sit "in" this bike rather than perch on top of it. I've done 350 miles in a day, and apart from a slightly numb bum, had no aches and pains at all. 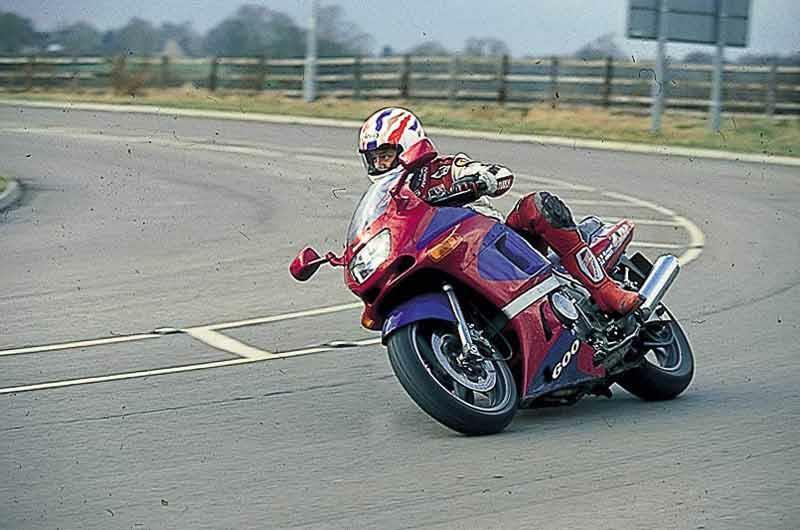 The generous fairing makes motorway cruises effortless, but taller riders should invest in a double bubble screen for a more peaceful upper body experience. On the whole, it's a fantastic bike with a storming engine, license losing performance, and good reliability. With a suspension upgrade it handles well beyond most people's capabilities (mine included), yet will tour, commute and amble equally happily. Peanuts to buy as well, but watch for those exhausts and brakes, as you could quite easily end up spending £500+ to put them right. That's a lot on a bike you can pick up for £800 upwards. If it weren't for the poor quality of the original exhaust, brakes and shock, reckon the bike would deserve five stars. Ok in it's hay day it was considered very fast indeed, but by modern standards it is now a sports tourer. For a first bike/ cheep bike you cannot fault it. That is not to say it is without it's faults. The suspension is a little soggy and the riding position doesn't quite suit me, but these are small things. Fuel economy is good, and I did enjoy riding it. Once I got the the bike from Whites in Swindon. I headed out to to get the suspension sorted. As eveyone, I think, would have grounded out the centre stand. Jacked up the rear and stiffened the front and she worked a treat. This is the second ZZR 600 I've bought. After giving up trying to cut my arse in half on a CBR600RR, I stopped and thought about previous bikes and what I wanted out of riding. I considered a VFR800-2, but the cost put me off. Then I remembered how the ZZR 600 D2 I had got me in and out of Birmingham for work over 3 years, in comfort. It only ever stopped once, and that was a snapped drive chain (my fault...) and was light on fuel and tyres. The later version has a few more bits. Fuel gauge is nice, so is a clock. 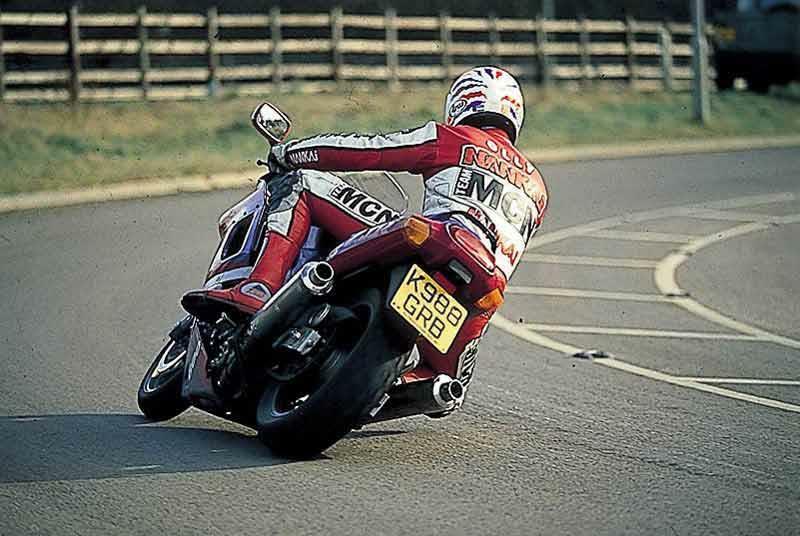 Sure a CBR is quicker, but I think Honda should come back to the real world again. I thought the CBR600F was superb, but since then they just rev to oblivion and are so bloody uncomfortable. I want to go 24 miles to work, and then I still need to be able to walk for christ'sake. The ZZR is doing europe this year, something I've wanted to do for years, and something I know it will do well, with no drama. All in all, it's a real world bike. It's useable.And no I'm not Valentino Rossi. A truly excellent bike. Viewed by many as “an old man’s” bike, or even a bike for people who haven’t learned to ride properly yet. How wrong can they be. Sure, it’s not a ZX6, but for 90% of ROAD riding, it’s just as quick, and easier. I am on my 2nd E model. The fairing is big enough to keep the rain off me. The seat is “all day” comfy. The engine is a real gem. Lots of real world bottom end torque, but with a screaming, 14000rpm top end. A sports tourer that will do an indicated 160mph. Faster than a VFR. The handling is good enough to get the pegs down. A centre stand makes tyre changes & chain lubing an absolute doddle. Most of my riding is 2-up, so a “Sports” bike is out of the question. My partner doesn’t want to look like a baby Koala on the back (as seen on any sports bike, on a Sunday). 1500 miles in a week round France, and no real discomforts. The brakes are a weak point, and so is the finish. The brakes are an issue, because they’ve never been updated since 1993. Honda cbr600/900 rr2/3 front calipers fit (almost) straight on, and improve the braking LOADS. The finish is OK, but if ridden in the winter, it needs regular rinsing. The standars mild steel downpipes are scrap after 1 or 2 winters. There are plenty of stainless systems about. Newer models have them as stock. I'm taking it drag racing this year. Watch this space for my quarter mile times...... (I anticipate 11.5 secs). Iv owned 2 zzr 600's now. the 1991 and the 1994 model. both of which i thoroughly enjoyed. The motor goes great with a perfect spread of power and great top end. Sounds beautiful too. (does it have gear driven cams cos it sounds like it- jet engine whine). The look and finish lasts very well and is an extremely reliable bike. picked both of mine up dirt cheap privately too. On the handling side they are of course more of a sports tourer but if u fit good tyres and are prepared to climb all over the bike to get it to handle at its best then really not too much can be complained against it. Though of course it is a bit soft and is its eventual undoing. Best bike ever for having a pillion on! Had a D2 model from new many years ago had it about 4 years and clocked up 78000 miles and just 1 clutch replacement and the normal exhaust replacement for a stainless one then traded it in for a Urban Tiger Blade. Year-round commuter bought for new at a knockdown price. Looking for a replacement for my 17 year old GPX600 I knew it had to be a middleweight and faired Kawasaki multi. Oh, and with a fairing as it commuted all through the year and would include occasional long trips. After looking at some ropey used ZZ-Rs for about 3 - 4 grand I found a shop selling a pre--registered H13 for just over four grand!! I nearly bit their arm off. The bike is just so efficient, especially after my clanky and worn-out old GPX. The engine is such a peach - the clinical proficiency you expect from a multi but with an atomic right hander when you're prepared to wind it on. It's also excellent around town, although a little more urge below 4,000 revs wouldn't go amiss. Finish is pretty good, although some of the fittings and exposed metal has suffered after only half a winter! Scottoil FS365 has helped to prevent it being even worse. One of the best things is its full stainless system (partly because it has a catalytic converter). Strengths: Engine - superb. Brakes - also superb, but need to be kept in tip top shape. Comfort - excellent. Looks - in silver it turns heads and has been mistaken for a ZZ-R1100. Handling - surprisingly good. Weaknesses: Low-down power below 3,000rpm Resistance to corrosion in winter (Relatively) cheap suspension. Only problems are the front brake pads stick in winter if not kept clean and gearchange is notchy when chain is to slack can get between 8 and 10 thousand miles to a set of tyres if ridden sensibly and its been 100% reliable Ive toured two up with all luggage over spain with no trouble at all. Strengths: All of it. Weaknesses: Rear shock a bit soft as standard. Bought a 92 D model on a limited budget a couple of years ago, only problems I've had are down to the age of the bike. When I first bought it, I was commuting 100 miles to work on Monday morning, and same home on Friday night easily, very comfortable. It's quick, fairly cheap to maintain, not the top spec but can hold it's own, damn good allround machine. Only gripe is an annoying flatspot between 6-7000rpm - cruising speed in top, can turn sweeping overtakes into a gearshift tap dance. Strengths: Versatility, comfort, performance. Weaknesses: Gearbox notchy if chain isn't kept perfectly adjusted, suspension is basic, no underseat storage. After recently returning to two wheels from a twenty year gap, I have found this bike to be perfect for getting back to riding. A very forgiving bike, dosen`t complain, it`ll do all you ask and more. Strengths: Comfort, build quality, Engine is Bomb-proof, very quick just when you want it. Weaknesses: Notchy G/Box (1-3), Soft rear-end. I used to ride this all over the country. Commuting from London to Manchester, commuting to Reading it handled all types of road fantastically. One of the most endearing features is the bikes low speed manoverability, it pulls at 1500 rpm and is quite agile through traffic, which means that it performs well as a commuter bike as well as the long haul down the motorway. Fuel efficiency is not bad, ridden sensibly you can expect 200+ miles to the tank, yet the rider can throw the bike down the twisties with the best. Strengths: Versatility. It is as good on the long haul as the in town commute. Reliability. I put 15000 on one of these with only a small problem with the injectors having lived outside through a particularly cold winter. Comfort. Pillions used to have trouble staying awake on long journeys. Weaknesses: Factory Set Up. Crank that back suspension down, otherwise you will whale around all over the place. If you want a practical day to day bike that has adrenalin pumping acceleration & top speed & can double (or treble) as a tourer this is the bike for you. 0 to 156 with heart stopping acceleration in comfort is where this bike is at. Oh, and by the way, weather protection is pretty good too. Strengths: Comfort, passenger comfort, weather protection, speed, acceleration, economy (35 to 60 mph depending on you), low seat (for short a___s). Weaknesses: Weight (198kg), soggy shock absorbers, rotten exhaust. A good touring / commuting bike, greatly overlooked. Purchased in 2002 as a sports tourer, it has met that demand very well. Good examples are not difficult to find, these are not racing and scratching bikes so the owners tend to be a little more practical in their use. Smooth, very reliable, good weather protection. That said it is still reasonably quick but a little soft. Recommend an aftermarket rear shock, the orginal is not great. Something that can be adjusted easily. I replaced the exhaust with stainless down pipes and collector box for £350. Kawaski wanted £450 for the orginal parts...! Strengths: As above plus after market spares are more available than first seems. These do not tend to be listed so ask the advertisers in the MCN classifieds. The brakes are very good. Weaknesses: Steel parts can corrode easily. Without much cost / effort I have replaced various fitting with stainless and removed some brackets and repainted them. (Get to know your bike better). Look after the front brake seals, keep them calipers clean and the results are good. Comfort is excellent. Bike is as fast as you'll ever need in the real world! Unique Kawasaki Streetfighter, my first big bike.